SPINE IS ONLY AVAILABLE HERE!! Every relationship has a little tension. The relationship you have with your eyewear can have the perfect amount of tension that gives your head a hug, keeping your frames where you want them with ground breaking fit and comfort. Spine eyewear features a patented segmented hinge and cable system that flexes the temples in all directions, including inwards, securely holding the frame in place on your head – eliminating the need to constantly push your eyewear back up your bridge. Holding eyewear in its proper place is a fabulous feature when involved in activities, and a vital one for the proper fir of multi-focal lenses. Now this is the type of tension every relationship should have. Purchase any annual supply of contact lenses to receive our lowest pricing with our in-office instant savings. We also offer numerous rebates from many major contact lens companies for even greater savings. Shipping is always free with every yearly supply of contact lenses. Receive 30% off any non-prescription sunglasses with any contact lens purchase. Looking cool is just one reason to wear sunglasses. Remember this, just as the sun can do damage to your skin, it can also do damage to your eyes. Wearing sun protection will not only give you the look of ‘elite status’ but did you know that sunglasses will also help reduce dry eyes, slow the development of cataracts, and even make you a better driver by increasing reaction time when driving. 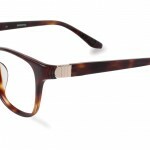 Take advantage of special package pricing on compete pairs of eyeglasses starting at just $89.00. 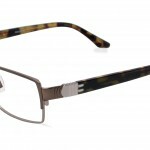 For a limited time receive 60% off any KOALI, ADIDAS, LIGHTEC, & KENNETH COLE with the purchase of prescription lenses. Choose any other brand frame and receive $100 off your complete pair purchase & as an added bonus receive $150 off your second pair. Second pair must be for the same patient and on the same day as first pair purchase. 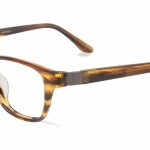 We offer brands such as Jimmy Choo, Versace, John Varvatos, and Ray Ban just to name a few. Kids 12 & under save $100 everyday on our wide selection of frames and lenses. Save $100 on any complete pair when you purchase a frame and anti-reflective polycarbonate lenses. Nothing is more important than your child’s vision so take advantage of this great offer today. *Both frame and lens purchase required. Cannot be combined with any other offers, discounts, or insurance. Please see a member of our optical team for more information.